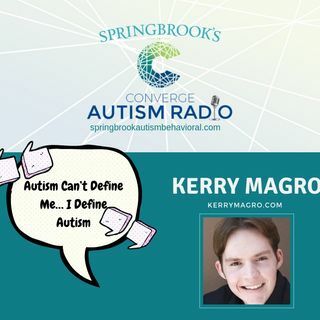 Kerry Magro is an award winning national speaker who is on the autism spectrum. A recent Masters graduate from Seton Hall University, he is CEO and Founder of KFM Making a Difference, a non-profit corporation focused on disability advocacy and housing. Kerry, a professional member of the National Speakers Association, has spoken at more than 400 venues across the country and Canada since starting college in 2007. One of his recent accomplishments was consulting for the 2012 motion picture hit ... See More "Joyful Noise" starring Queen Latifah and Dolly Parton. The film earned over 30 million dollars in theaters worldwide! Kerry is now consulting for two more films set to come out in 2015 including "Jane Wants a Boyfriend" and "Don't' Foil My Plans." What makes this achievement exceptional is that he was diagnosed with autism at the age of 4 and was largely nonverbal till he was 2 and a half. Today Kerry writes about his experiences on the autism spectrum from the heart to help others overcome obstacles. Kerry wanted to write this book to help show his passion and his heart to others while trying to make people understand that autistic people deserved to be loved. Kerry credits most of his progress to the undeniable love of his two parents Robert and Suzanne Mack-Magro.